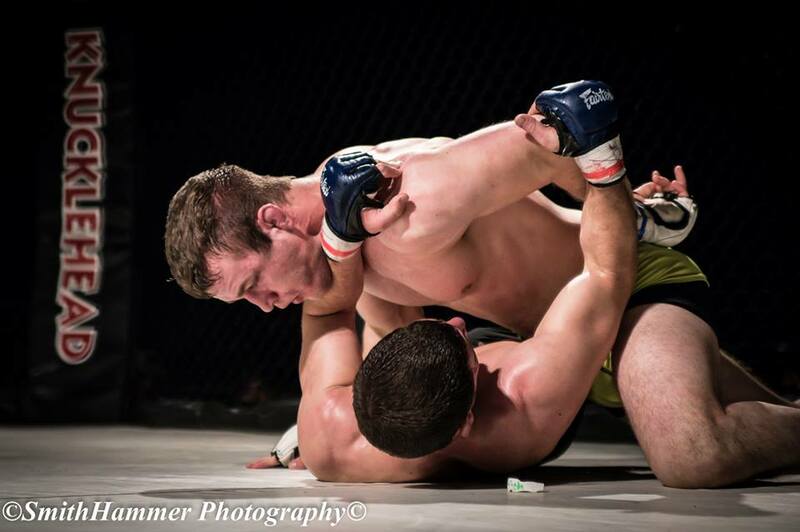 "Knucklehead Fight To Defeat ALS" MMA promotion, Salem Oregon. 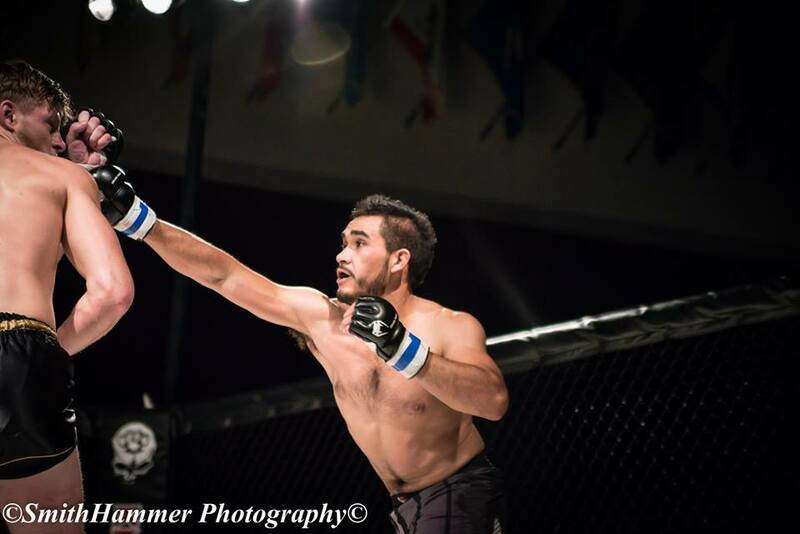 The first fight saw Artem Marchuk take on a tough undefeated striker from Animals MMA, Angel Espino. These two fighters had faced each other previously in a kickboxing match earlier this year, where Espino had won the bout because Artem had injured his knee during the fight. Marchuk was eager at the chance to avenge the loss and get back in the win column. At the opening bell Artem did well to find his range and land some crisp calculated combinations to the head and body of Espino. The two traded a few hard shots back and forth before Artem shot in for a beautiful blast double which slammed Espino to the canvas. After a few hard punches from Artem while in Espino's guard, the fight became a technical grappling match with Espino trying to secure an arm bar which Artem easily managed to escape and continue to reign down punches from the top as the bell rang to end the round. The second round, Espino came out guns blazing, throwing his signature right hook, that resembled a rock tied to the end of a rope. Fast and powerful, swinging relentlessly at Artem's head, Espino was just barely missing the Team Quest fighter's jaw. Artem did well to slip, dodge and duck most of the Espino's striking efforts and countered with a hard shovel hook to the body of Espino. After some more quick flurries from Espino, Artem landed a jump knee and shot in for another takedown which set him back up in Espino's guard. This time, Artem was able to land more vicious ground and pound and at one point passed guard to get to full mount and continued to unleash hard punches on Espino. The pace of the third round was all set by Artem. He was in complete control and managed to keep any and all of Espino's striking efforts at a safe distance. Eventually Artem managed to back Espino in to the cage and secure his third take down of the fight. Once again in Espino's guard, Artem stayed busy on top, postured and struck Espino with more hard punches and a few well placed hammer fists to the side of Espino's head. The pressure of Artem's ground and pound forced Espino to try and escape, scramble and move to avoid anymore damage which allowed Artem to take his back, secure an air tight body triangle and continued to strike. Artem had a rear naked choke half way in, which Espino managed to stay clam and avoid. The end of the round saw Artem on Espino's back with the body triangle, striking say to the head and body. This highly anticipated match up between two tough fighters making their pro debuts, had fireworks written all over it. Sure enough, this fight was one of the best on the entire fight card with non stop, back and forth action! Khoeler started things off immediately landing two hard jabs to John's nose, which was previously injured from his training camp in preparation for this bout & set the tone for the round. John fired back with some hard hooks to the head and body of Khoeler while coming forward, that you could hear from the stands. Constien was staying active with well placed kicks and punches while Khoeler kept firing hard straight punches down the middle, connecting on the button (being John's nose) which made it extremely hard for John to breath. Clearly stunned by the power of Khoeler's punches, John pressed forward and landed a barrage of heavy hooks to the head of Khoeler sending him stumbling backwards in to the fence. John tried desperately to capitalize on the hurt Khoeler but was unsuccessful in his efforts to keep him down and got called for an alleged illegal knee, which cost him a point. At the restart, John's mouth piece was becoming an issue as he was unable to breath through his nose. 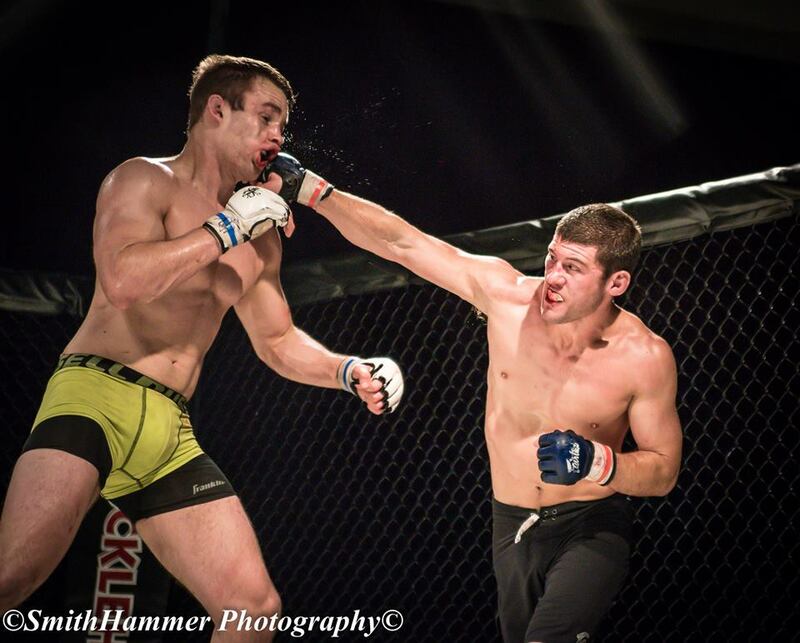 After a few hard striking exchanges, both fighters actually lost their mouth pieces at one point and the action resumed. Khoeler did well to take John down with strong takedowns, keeping john flattened out while maintaining top control position landing some nasty elbows to John's temples. Right at the bell, both fighters came out throwing bombs at each other at a relentless pace. The crowd was going crazy watching these two swing big punches at each other. 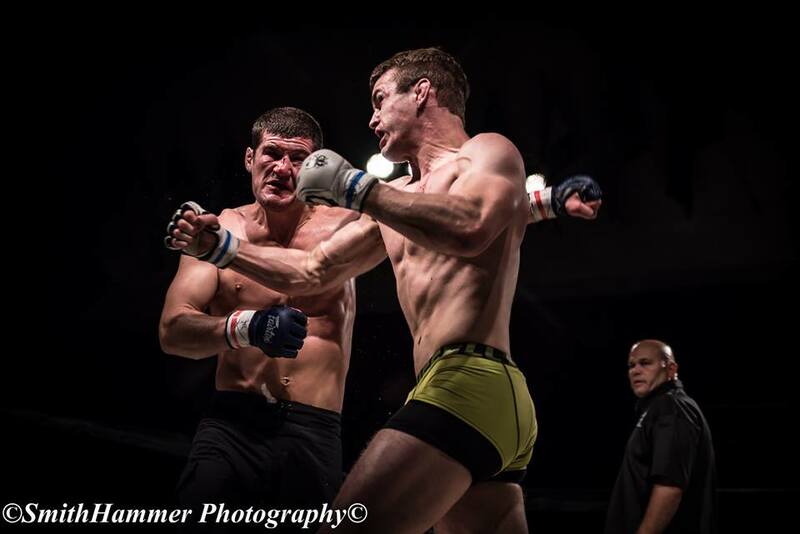 John again landed some great up and down striking combinations that kept Khoeler at a safe distance, but Khoeler being the taller of the two fighters, managed to keep scoring hard accurate punches down the pipe, which allowed for easy take downs. More elbows and more problems with the mouth piece saw John getting out pointed. "It's all or nothing! You have to go right now, you have to take him out. We are down on points! ", yelled Kody Kramer, team mate and corner for Constien. 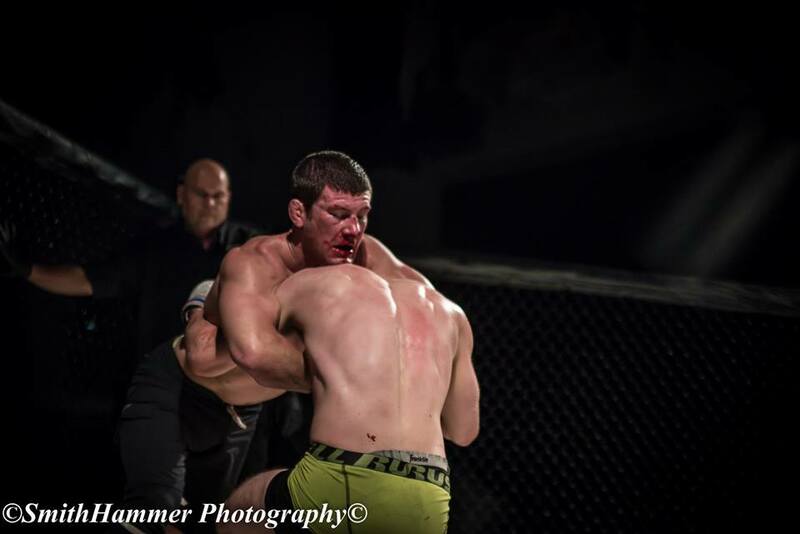 TJ Khoeler managed to weather another hail storm of Constein's hard hooks to the head and body that have managed to put away all of John's previous opponents. Once again the fight went to the ground, seeing Khoeler control most of the wrestling to secure advantageous positions to score hard punches from the top. John did everything in his power to get back to his feet and managed to do so in a short scramble only to go back to landing more hard punches to Khoeler's left cheek with his right hook. John and Artem both did exceptionally well under pressure and performed like professionals while representing Team Quest with courageous heart. We are extremely proud of both guys and happy to have such great guys both on and off the mat representing us in combat. Although we were stunned to see John lose, we know he will be back, better than ever and ready to take the next challenge in his MMA career.